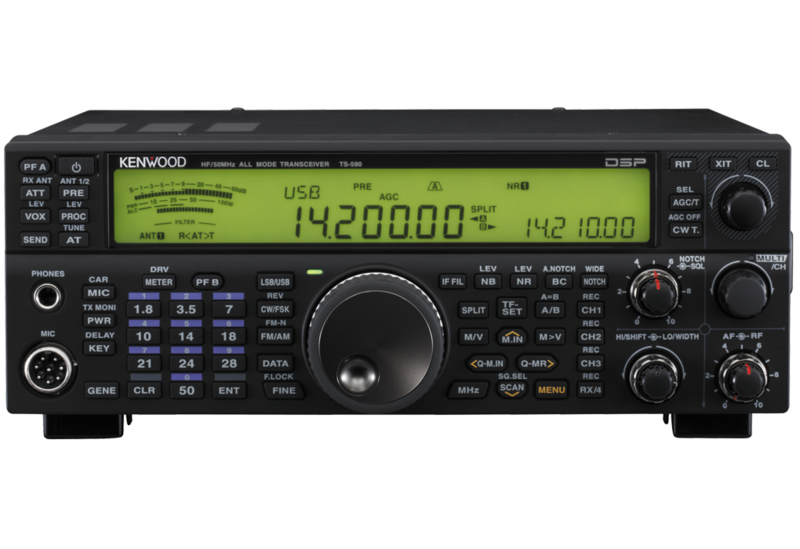 Be witness to the evolution of KENWOOD's pride and joy - the TS-590S HF transceiver - pushing performance and technology to its utmost limit, with the receiver configured to capitalize on roofing filter performance and IF AGC controlled through advanced DSP technology. Enter the TS-590SG. 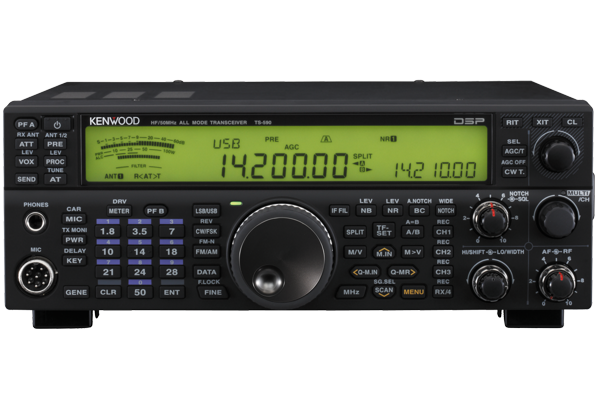 A new generation of high performance transceiver, with the type of high level response to meet DX'ers needs. MULTI/CH knob (with push-switch) and RIT/XIT/CL key also configurable in addition to existing PF A and PF B programmable functions. Transceiver equaliser configurable by mode. DRV connector switable to antenna output function (convenient when connecting to external receiver). LED backlight colour tone configurable in 10 steps from amber to green. 20 step expansion of settings range including TX monitor and CW side tone, etc. Operating when pressed now adding to existing toggle operation for TX tuning function.